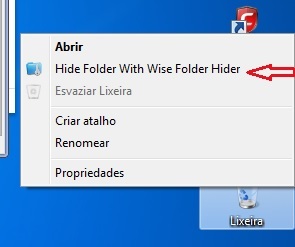 Please i like your Hide Folder, but i dont want see in my trash the name of Hide Folder with Wise Folder Hider and i dont see where i can delete this name in my trash folder of windows 7 ultimate 64bits. I didn't understand if you want the context menu, but you don't want it showed in the recycle bin, OR if you don't want the context menu at all. 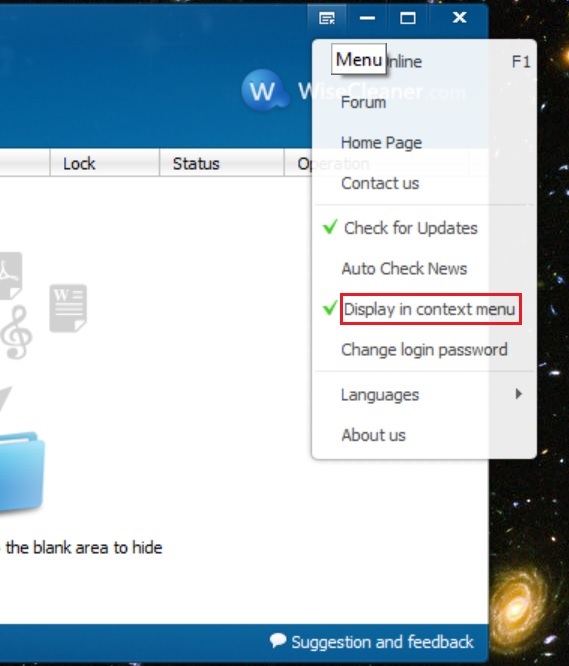 In this last case, you can remove the wise folder hider context menu from its menu: left-click display in context menu.